The Red Sox should fire hitting coach Chili Davis. This is the first game this season that the squad had been shut out and obviously things need to be shaken up. As we can see the dismissal of Juan Nieves has turned around the pitching staff. 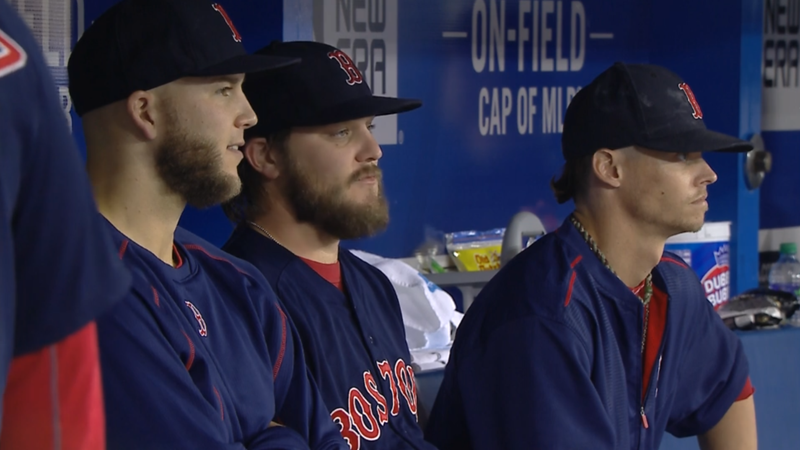 Wade Miley went six innings with eight hits (including two homers) and four earned runs. He only walked one batter and struck out eight, on the somewhat positive side. The Red Sox were soundly beaten but they prevailed in challenges 2-1. 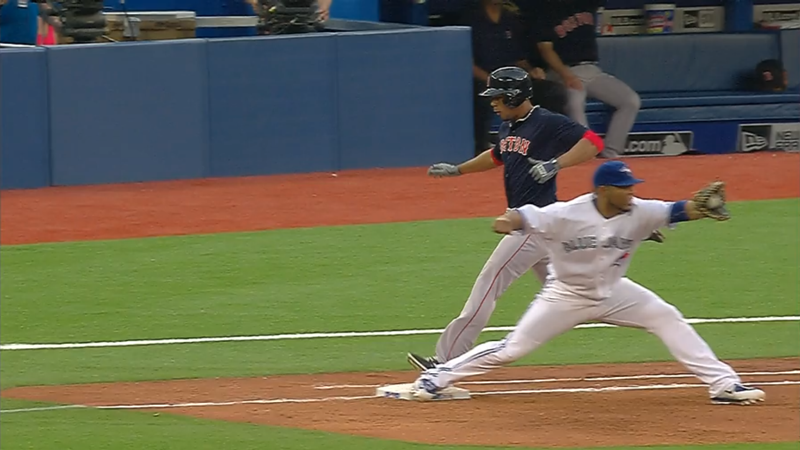 In the third inning Xander Bogaerts was called out at first but replay showed he was safe by a hair. 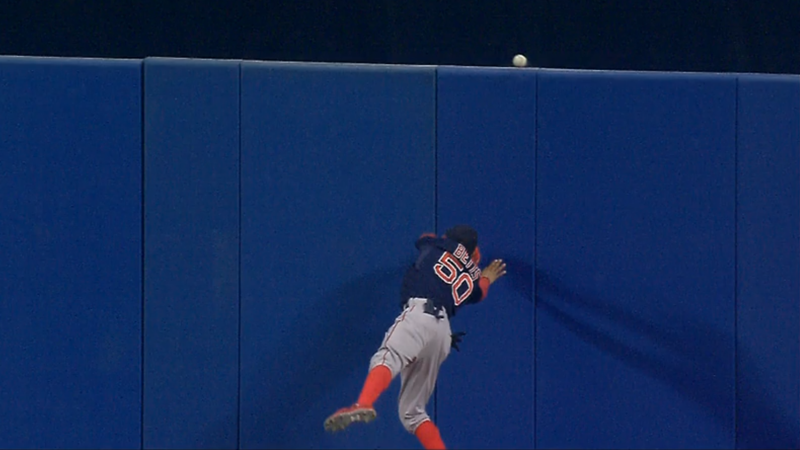 Mookie Betts smashed against the wall trying to catch Jose Bautista’s deep fly ball. Perhaps the collision caused the ball to drop back into the field for a triple rather than a home run. Bautista went on to score on Edwin Encarnacion’s single anyway, but Robbie Ross, Jr. doesn’t have a home run on his ledger. The Blue Jays won a challenge in the seventh when Allen Craig seemed to beat out Ryan Goins’s outstanding throw. The replay officials overturned the safe call. And that’s why Craig is headed for Pawtucket, not his .146/.255/.208 slash line. 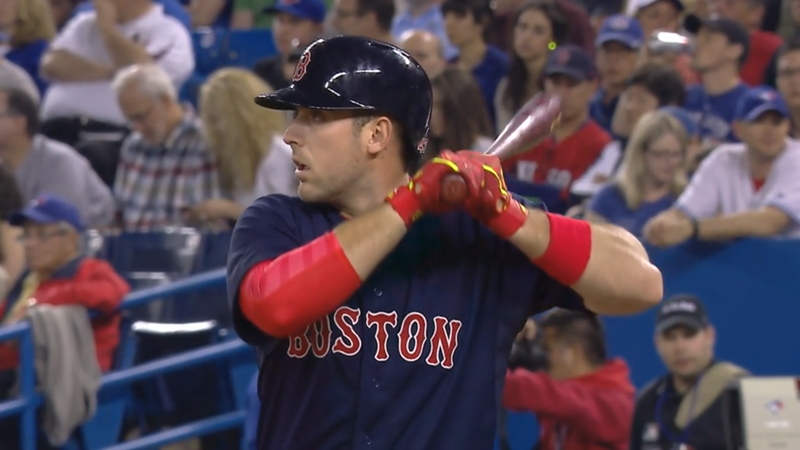 Craig will be joining Travis Shaw, who made his major league debut in this game only to be optioned to Triple-A after the game. Shaw had three at bats, reaching base only once with a walk.